People wouldn’t necessarily associate chess with video games that needed cutting edge visuals. After all, chess is a remarkably simple and abstract board game in design that contains a handful of pieces and a simple checkered board as the play field. 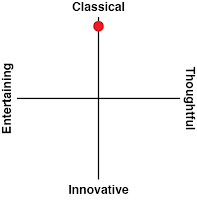 Related reading: Nick's review of Pure Chess on the PlayStation 4. And yet, if you look at the history of chess, you realise really quickly that aesthetics are, in fact, vitally important. People are willing to pay an absolute fortune for high quality glass or marble boards and unique pieces to replace the standard abstract white and black pieces that you see in chess with pieces that represent everything from their favourite fantasy characters, through to military figures of today and yesteryear. My father, for example, has a couple of chess sets, but the one that we were never allowed to touch as kids was a incredibly detailed Napoleon-themed chess set, featuring figures modeled after the soldiers and important people from that time period. My brother meanwhile owns a Lord of the Rings set that was his 18th birthday present. One of these days someone will create a Hatsune Miku chess set and I’m going to be willing to pay thousands for that. Because chess isn’t just a game. 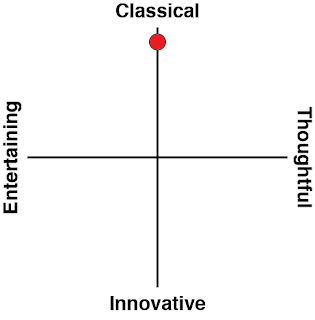 It’s been around so long, and the philosophy and thinking around it has been built across so many years, that it’s so much more than just a board game - it’s a cultural statement, every bit as much as going to a Shakespeare play or opera is. Owning a chess set is one thing, but having a chess set that reflects who you are makes it as much furniture as it is a game to sit down and play. 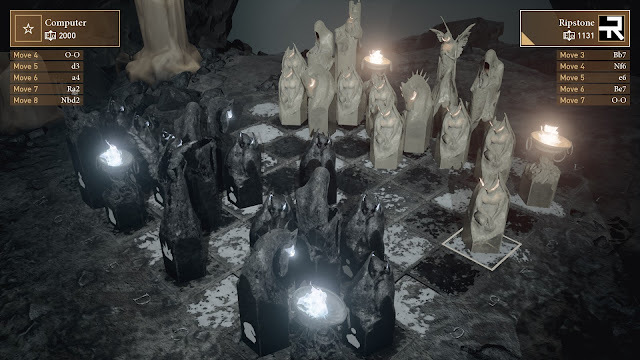 In that context, Ripstone has really capitalised on the aesthetics of chess in the past with Pure Chess, and now pushes things to the absolute limit with Chess Ultra. 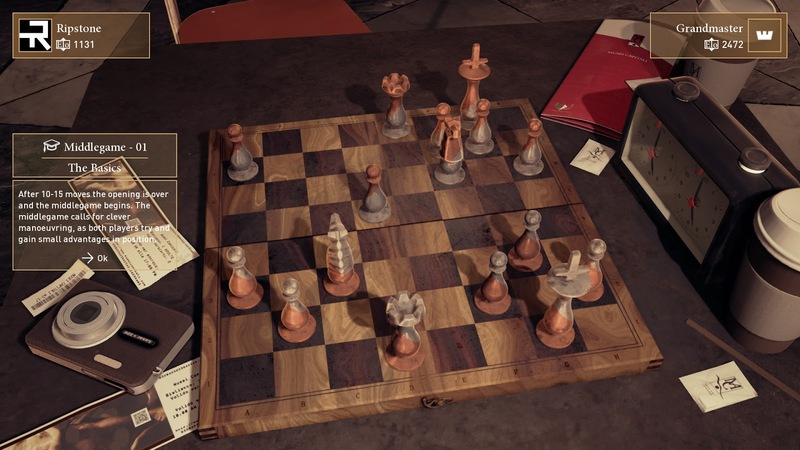 I can honestly say that I would never have expected a press release about a chess game to be boasting about 4K visuals, VR support, and other similar aesthetics excesses, but this is the core of Chess Ultra, and it does it all so very well. This attention to setting, place, and atmosphere occasionally comes at a cost; for example, when playing with chess clocks there are times where it’s difficult to actually see the time, but it’s hard to begrudge the game those minor inconveniences when they ultimately don’t impact on the overall playability of it. I will say however that I was incredibly disappointed that Chess Ultra doesn’t have the variety of chess sets that Pure Chess does. Ripstone’s first outing had novelty chess sets such as park animals and Halloween sets which were an utter delight to use. This one has a hellish-themed chess set, which is nice, though even then it’s very abstracted and lacks the charm of the novelty sets from the previous game. On the other hand, playing Chess Ultra in VR allows you to play against the Grim Reaper, which is a fun touch. And while VR isn’t mandatory for Chess Ultra, it’s a hell of a “bonus” feature. 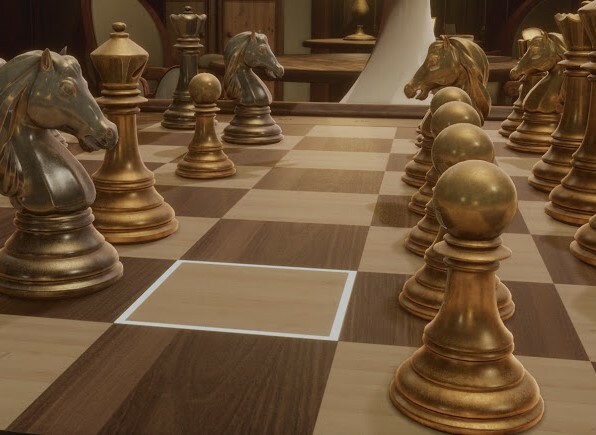 Like with Pinball FX 2 VR from Zen Studios, Chess is the kind of gaming experience that is absolutely perfect for VR; you’re effectively stationary, and most of the focus will be on a single point in front of you - the board. At the same time those cultural elements to chess that I was talking about earlier are really enhanced by playing in VR. The setting that you play a game of chess in - be that the pub, a park, or in a study at home - subtly affect the “feeling” of the game, and with the VR goggles on, that feeling is nearly perfectly recreated here. When it comes to the actual game of chess, Chess Ultra is everything that you could possibly want, and then some. The ability to set up complete tournaments is superb, and even if you can’t get enough players together for one of those, the AI opponents know how to put up a stiff challenge. Not so much that they’ll challenge you if you are a professional, but for those of us that haven’t committed our lives to the game, ramping the difficulty setting up to its maximum is still going to give the brain a good workout. For people who are less experienced in chess, however, the lower difficulty settings offer a challenge that is comfortable, without patronising, and the game goes all out to provide you with all the tools and tutorials that you need to get going with a game that takes a half hour to learn, and a lifetime to even try and master. In terms of giving players of every skill level something to enjoy, I’d have to say that Chess Ultra is the most rounded chess game that has ever been created. Related reading: Also worth looking into is Pure Hold 'Em, which is to poker what Chess Ultra is to chess. Matt's full review. There’s not too much more I can say about Chess Ultra. 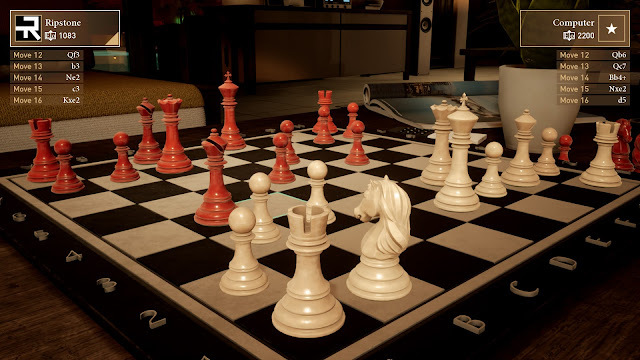 Ripstone took something great that it already had going with Pure Chess, and further enhanced everything that the game was already doing well. In terms of aesthetics, atmosphere, and play features, Chess Ultra is as good as I can conceive Chess actually getting. Bring on a better range of chess sets through DLC, and preferably a Hatsune Miku set among them, and I don’t think I’d ever actually put this down.